We are delighted to have been awarded our 24th Gold medal at the RHS Chelsea Flower Show 2017, our 13th consecutively. 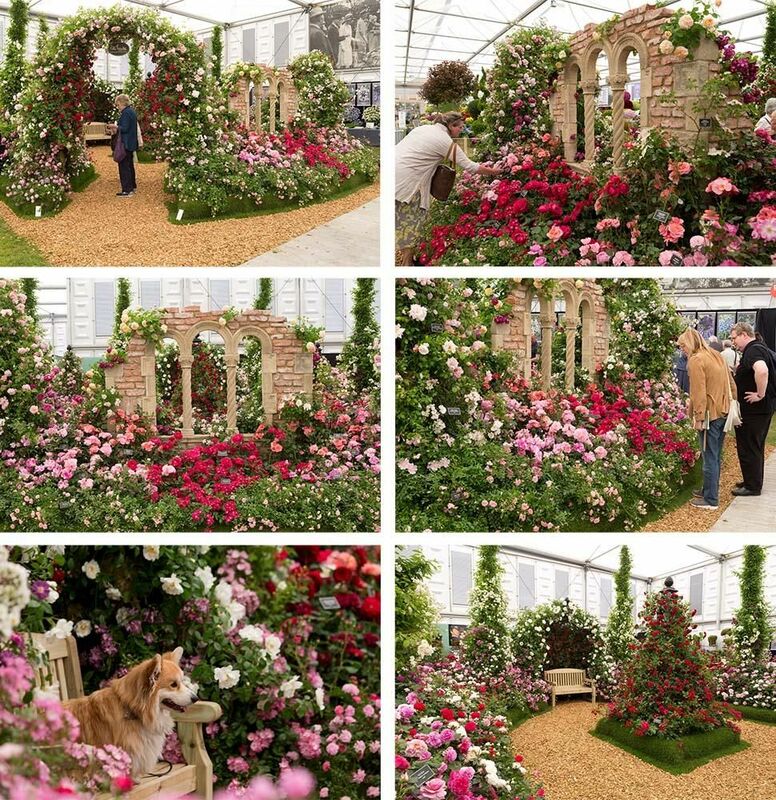 The stand featured ironwork archways created by Classic Garden Elements, an interesting gothic window built by Redwood Stone and several tall semi-mature trees supplied by Barcham Trees, all of which were dressed with roses to create a stunning idyllic, yet natural display. During Press Day on Monday 22nd May, we launched two beautiful new roses, rosa ‘Papworth’s Pride’ on behalf of the Papworth Trust and ‘Margaret Greville’ which was commissioned by the National Trust property Polsden Lacey.